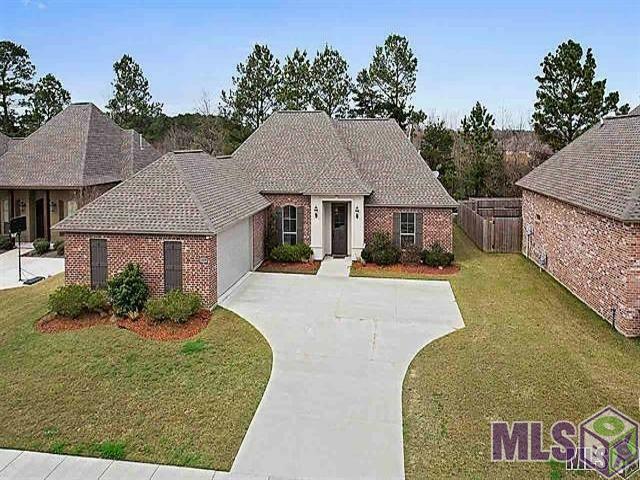 This lovely home located in desirable Collins Place Subdivision welcomes you to Style and Delight w/this Beautiful 4 Bedroom / 2 Bath home. 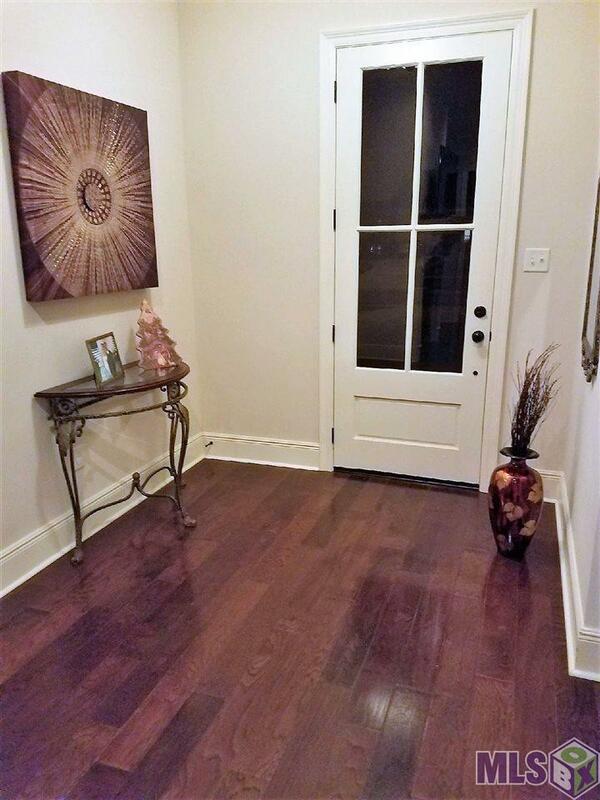 Home was Built in 2016 and features an open floor plan with split design w/features of almost everything you've been wishing for and More, such as: 11' ceilings, triple crown molding, and hardwood floors in the Living room & FORMAL DINING room areas. A wall of windows and an elegant Fireplace accentuates this cozy area. 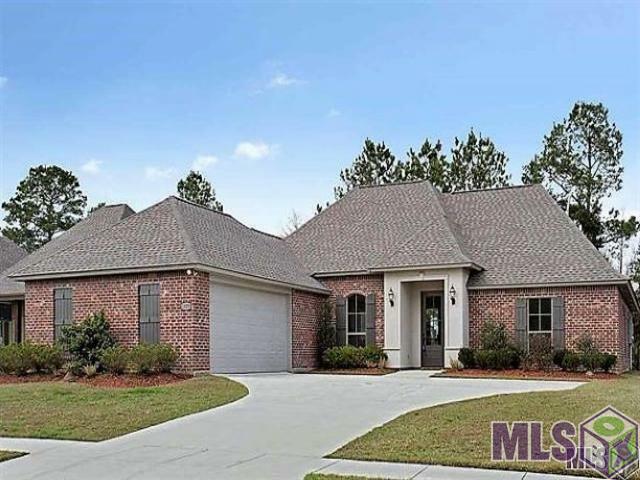 The Kitchen area features Granite Counters, large Island w/bar that easily fits 3+ bar stools, stainless steel appliances, an abundance of Custom Cypress Cabinetry, walk-in pantry and a spacious and bright breakfast room. The Master Bedroom is quietly nestled on one side of the house. The Master Bathroom has Dual Vanities w/Granite Counters, lots of drawers & cabinetry for storage, two walk-in closets, separate shower and a Jacuzzi SOAKER tub. Conveniently located and split from the Master Suite, are two more bedrooms that share a Full Bath with loads of storage. On the opposite side of the house and next to the kitchen you will find another bedroom which is ideal for a office, exercise room, playroom or private guest room. The laundry room is sufficient in size to include a fridge/freezer and the storage room off the 2 car garage is fully equipped with a roll up door, which is easily accessible from the yard. The covered back patio offers a quiet and secluded area to retreat and relax at the end of the day or entertain on the weekends. 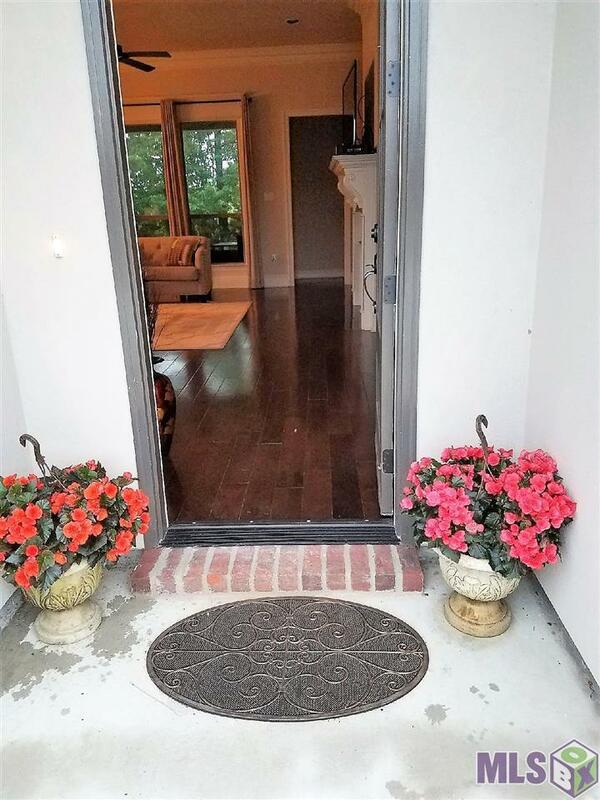 Front is nicely landscaped, J-driveway with extra parking is great for your holiday guests. This home is like New! Don't wait to schedule your private showing! HOME DID NOT FLOOD! Exterior Features Landscaped Patio: Covered Storage Shed/Bldg.